In the previous installment of this Star Fox Series Retrospective, we examined the Rare developed Star Fox Adventures. Though it has come to be hated by many Star Fox fans for its major departure from nearly everything resembling Star Fox, the game is pretty good as an action adventure game. Within days of the release of Star Fox Adventures for the Gamecube in September of 2002 Microsoft purchased Rare, making Star Fox Adventures the studio’s last game on a Nintendo platform. With Rare obviously no longer contributing to the Star Fox franchise, Nintendo turned to another external developer for the next game in the series. 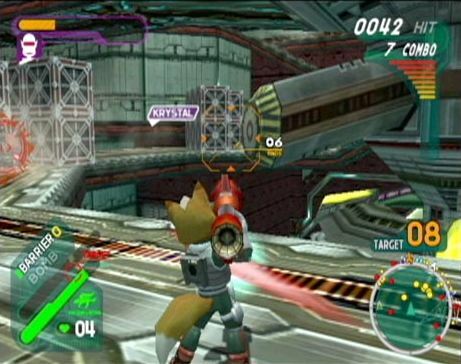 For the next Star Fox game on the Gamecube, Nintendo partnered with Namco, in particular many of the individuals that had worked on the Ace Combat series. The game was actually first announced before Star Fox Adventures was even released, though early impressions from media and fans was rather negative. 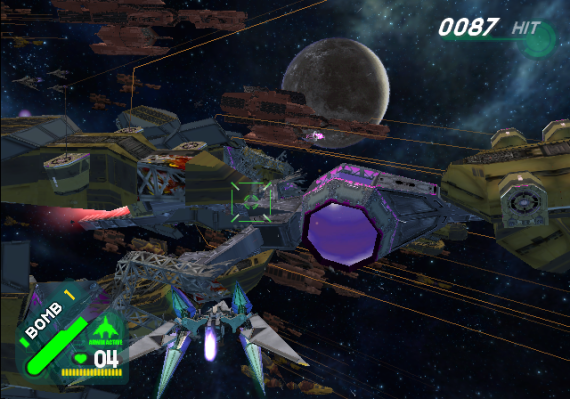 After several years of development and refinement, Star Fox Assault was finally released in early 2005. With Star Fox Assault conceived as a Star Fox game from the very beginning, unlike Star Fox Adventures, the game sticks much closer to the fundamentals of the series. 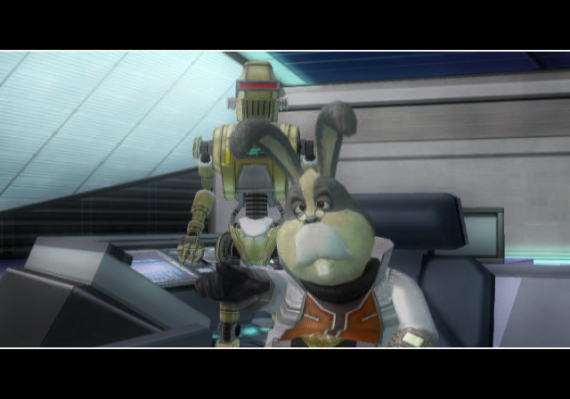 Star Fox Assault is an action game through and through, with the focus shifting between space combat and ground combat consisting of both vehicle and on-foot third person shooter gameplay. 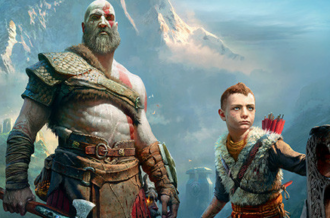 Obviously this game isn’t as much of a departure than the previous game, but the inclusion of on-foot gameplay and a cinematic presentation make it feel like what many had hoped a modern evolution of the series would be. Star Assault does a lot of things right, but the game’s biggest shortcoming is in the execution of the ground based gameplay. The on-foot portions of the game consist primarily of third person shooting and these sequences are the worst parts of the game. Granted, this game was released before Gears of War revolutionized the third person shooter genre, but let’s also not forget that games like Max Payne and Socom did exist. Even by the standards of the day the on-foot sequences come up far short in terms of both controls and level design. The game actually does feature a dual analog control scheme, making it one of the few on the Gamecube, but it’s not executed well at all. The movement and aiming feels incredibly loose and unresponsive, and the Gamecube controller isn’t particularly suited to shooter controls with it’s very odd triggers and tiny right stick. It’s not just the controls though, but the level design of these stages that really brings it down. All the on-foot sequences take place on arena-like levels with various objectives scattered around. 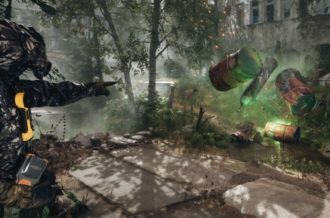 The enemies themselves don’t offer any sort of interesting encounters, mostly just soaking up bullets, and the lack of linear progression is a disappointment. It really is a shame that the ground missions are so poor, because the other half of the game is exactly what you’d want from a Star Fox game on the Gamecube. 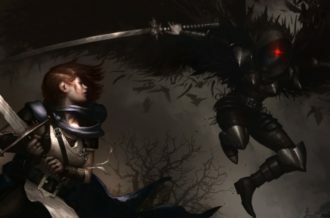 The aerial gameplay almost feels like it was designed by an entirely different team, with tight and responsive controls and fairly interesting encounter design. The game has a mix of classic linear stages and free roaming stages, and while I still think the more classic stages are better, the free roaming stages are better here than they were in Star Fox 64. The most interesting levels in the game are the ones that allow you to freely switch between arwing, landmaster, and infantry combat, though once again the sloppy controls and lackluster enemy encounters on foot hold things back. Like the other aspects of the game, the story of Star Fox Assault is a return to form compared to Star Fox Adventures. 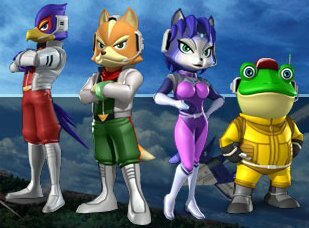 In this game the Star Fox crew, which now includes Krystal, is once again traveling across the Lylat system, engaging in missions on various planets and of course having run ins with Star Wolf. The story has a lot going for it, with great looking cutscenes, some fantastic orchestrated music, and a fairly interesting plot that stays true to the series roots. However, some weak writing leads to an overabundance of cringe inducing dialogue that is done no favors by the unexceptional voice acting. 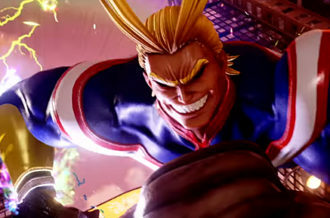 For the third consecutive game every character is voiced by a different actor, with many of them being noticeably worse than they were in the past. General Pepper in particular sounds more like Richard Nixon than the Pepper we’ve heard in the past. On the positive side though, the game tells an entirely original story. For the first time in the series’ history Andross isn’t the villain, meaning Star Fox Assault is also the first game that doesn’t feature the same final boss fight as the others. Star Fox Assault is probably the least popular game in the series. Not as many people hate it as do Star Fox Adventures, but it also doesn’t have as many supporters either. When people talk about Star Fox, Assault is the game mostly likely to be forgotten, which is a shame. So many of its ideas are great, and the concept of a Star Fox game that shifts between space combat and third person shooting is a great fit for the series. If all aspect of the game were executed on better, Star Fox Assault could have been the best game in the series. Even still, while Star Fox Assault isa weaker game than Star Fox Adventures, it is much better as a Star Fox game. Star Fox Assault was the most recent console Star Fox game released, but there was one more game in the series, released on the Nintendo DS the next year. 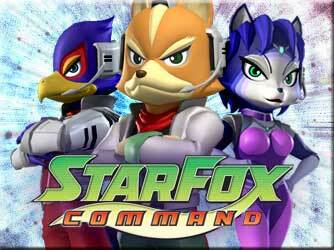 Star Fox Command was released for the DS in 2006 and was developed by Q-Games. The developer would later go to be known most for the Pixel Junk series, but Star Fox Command was among their first projects as a studio. Being on a handheld, Star Fox Command wasn’t anywhere near as ambitious as Star Fox Assault, but it did feature some elements of the canceled Star Fox 2. Many of the ideas originally intended for Star Fox 2 were seen in Star Fox 64, such as Star Wolf battles and all-range mode, but there were also those that didn’t carry over. Two of the core aspects of Star Fox 2, playing as other characters and map view strategy elements, were nowhere to be seen in Star Fox 64. 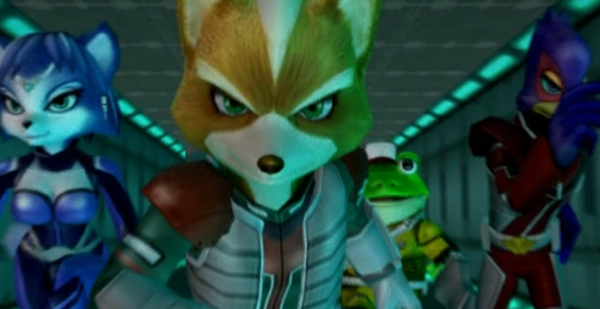 However, more than a decade later these two ideas would finally come to fruition in Star Fox Command. Star Fox Command is structured quite differently from any other game in series. Rather than going with a set of stages with branching paths like the original games or the more cinematic linear array of missions seen in Assault, missions in Star Fox Command consists of many small battles strung together with strategy elements. Instead of controlling only Fox McCloud, you have access to multiple character which you move around a map screen to engage in dogfights. The biggest strength of Star Fox Command is in need for strategy and careful planning, but so many of the game’s other aspects bring the rest down. The heyday of the DS and Wii was one of Nintendo’s most profitable periods in the long history of the company. Though Nintendo consistently enjoyed extreme success during this time, they were also prone to making puzzling decisions regarding the use of the unique aspects of their hardware within game. 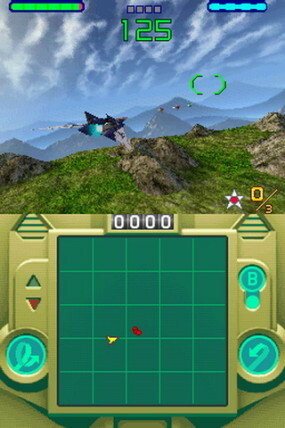 Nintendo had a tendency to shoehorn motion or touch controls into game series and genres that had worked perfectly fine within a controller in the past, and Star Fox Command is one such example. The only method of controlling your arwing in this game is with the stylus, which is a real shame. Obviously the DS doesn’t have an analog stick, but the touch only controls feels much worse than even the d-pad controls on the original Super Nintendo game. Trying to maneuver through tricky situations or fire your weapons with character that don’t have lock on is a real hassle. 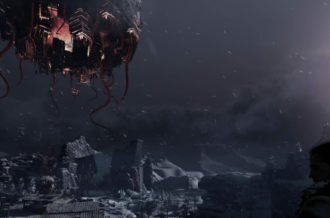 The frustration reaches its maximum during the boss fights that require you fly through rings with increasing speed, with failure occurring after only a single miss. Star Fox Command is without question my least favorite game in the series, due almost entirely to the touch only controls. It’s a real shame too because the game otherwise has a lot going for it. 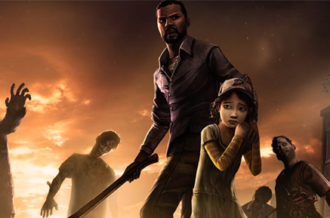 The characters are better developed here than they’ve been in any other game, the game has many different endings, and strategy aspect is really cool. Star Fox Command was the last original entry in the series released thus far. There was a remake of Star Fox 64 for the DS a couple a years ago, also developed by Q-Games, but no new games in nearly a decade. There have been rumors at various points in the last eight years, with the most interesting being a Star Fox and Metroid crossover game developed by Retro Studios. Despite its long hiatus, Star Fox has the potential to be a great franchise for Nintendo going forward. Every E3 I hold out a sliver of hope that a new Star Fox will be announced, and I’ll likely do the same again this year. Until such time as a new Star Fox is announced, we can only wait and enjoy the great games the series has already produced.